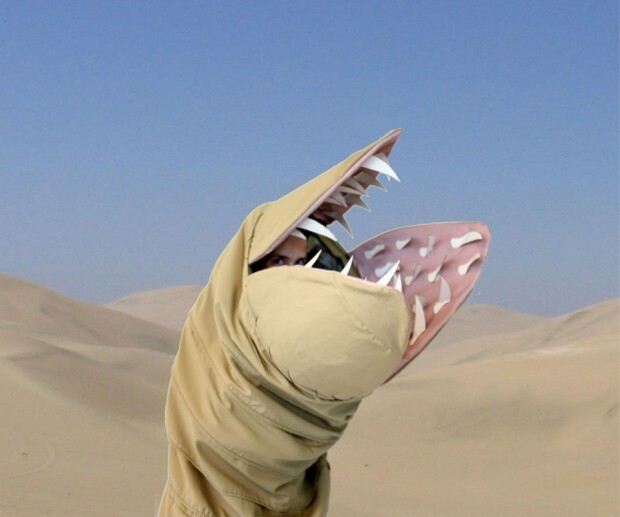 This awesome costume is a Dune sandworm that you can make yourself. It also could double as Sarlacc pit. He who controls the spice controls the universe, while he who controls the costume controls the worm – otherwise known as Shai Hulud. If you want to get in touch with your inner worm and wriggle around in some sand, you can find the instructions for building your own here, thanks to Instructables contributor Canida. For this costume you need a $13 kid’s-play tunnel, six yards of sandworm-tan fabric, mouth-pink fabric, poster board, wire, and a large cardboard box. 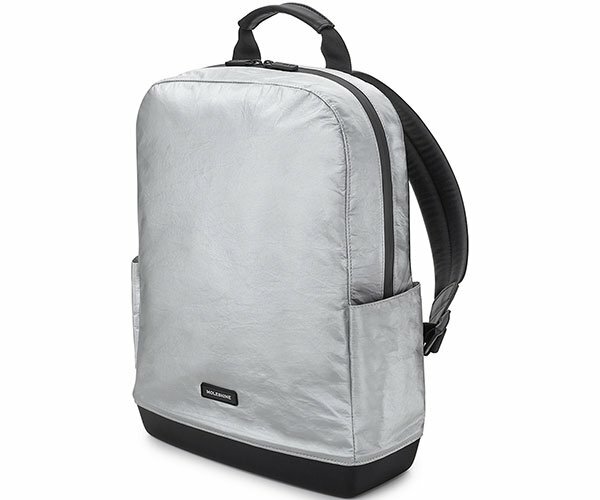 You will also need some basic sewing skills. 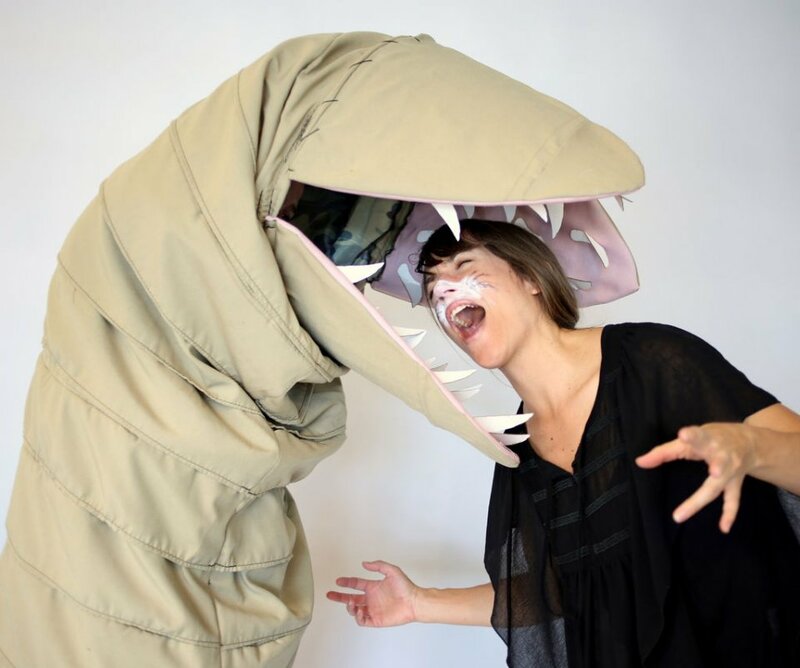 After you put them all together you have yourself an awesome worm costume. I would suggest burying yourself in a sandbox or on the beach and leaping out to scare kids, but that’s just my personal preference.